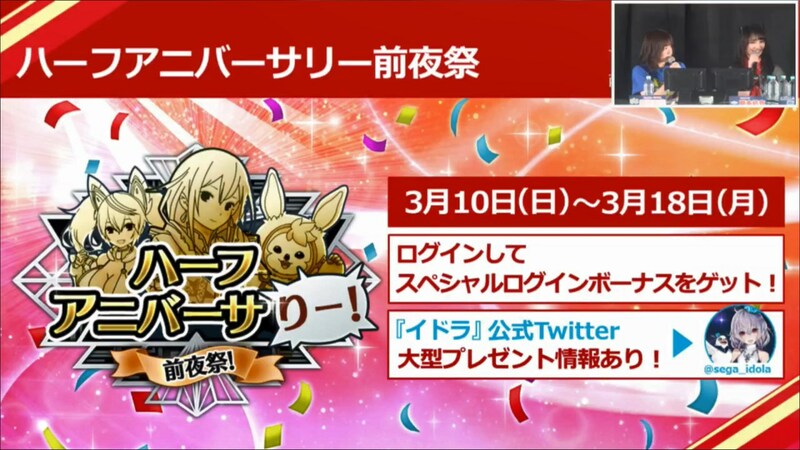 You have until March 20th’s maintenance to complete this task. 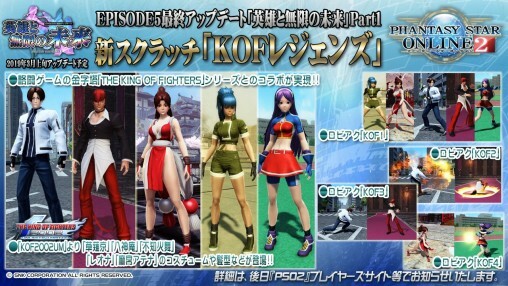 Popular hairstyles, accessory and lobby actions will return! 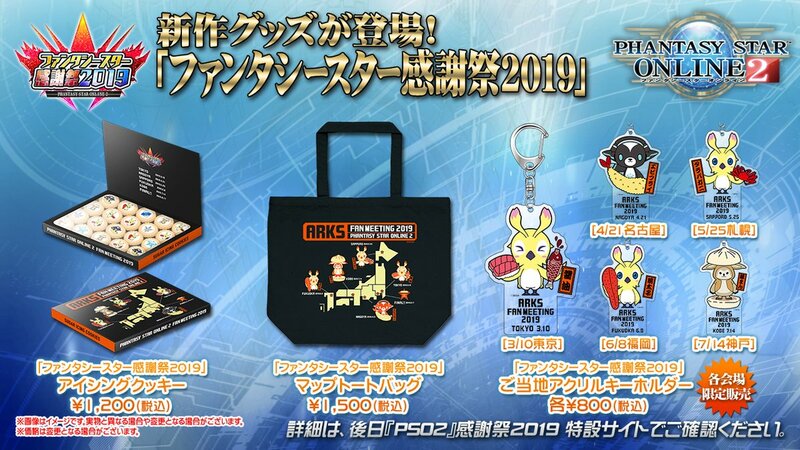 Special AC scratch containing items to support your adventures! 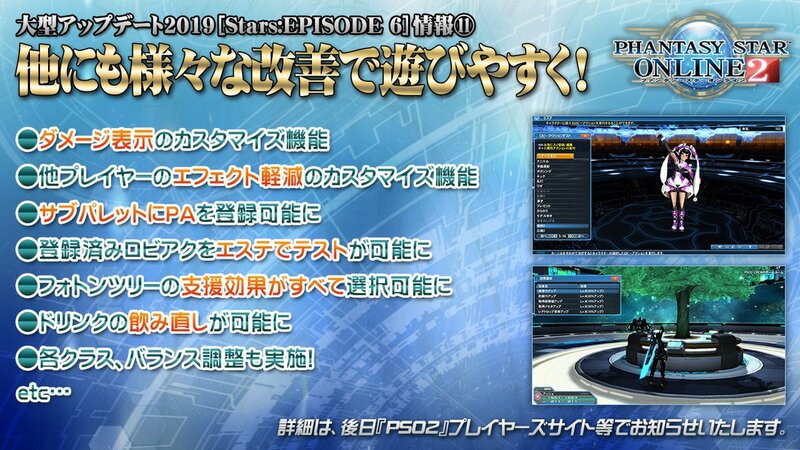 Let’s acquire the materials for ★15 [Atlas EX Series]. 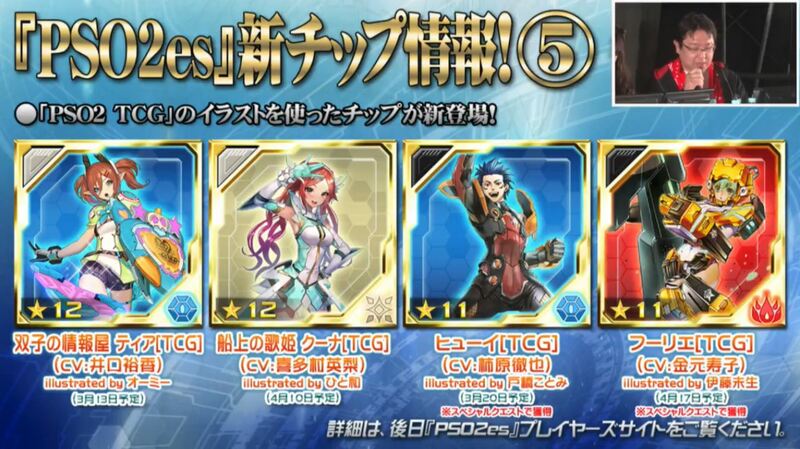 Clear the following quests a certain number of times for prizes! 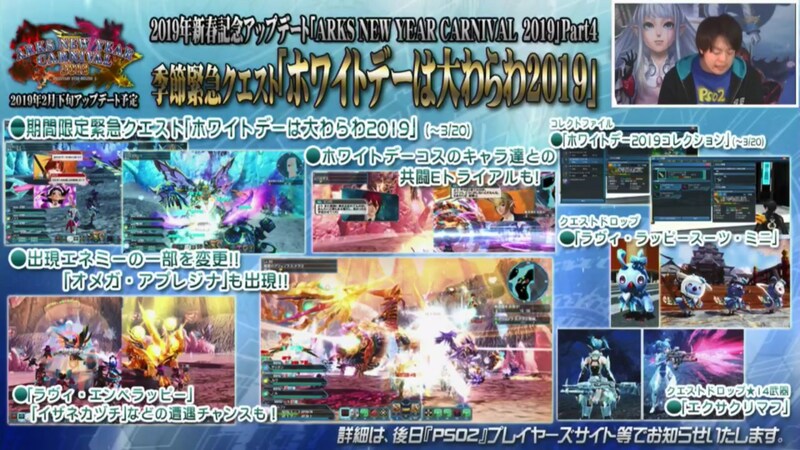 For the items highlighted in blue, there’s another set of tasks in the future. 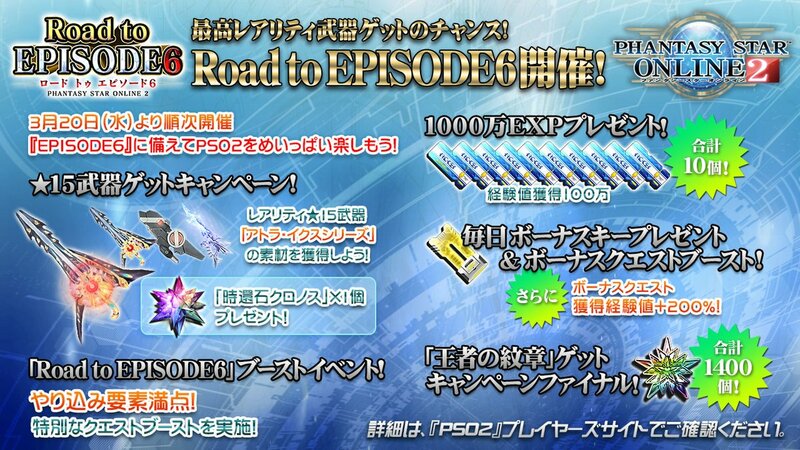 Further Strengthen the weapons you’ve obtained during [Road To EPISODE6]! Kazuma, Aqua, Megumin, Darkness, YunYun’s Aesthetics. 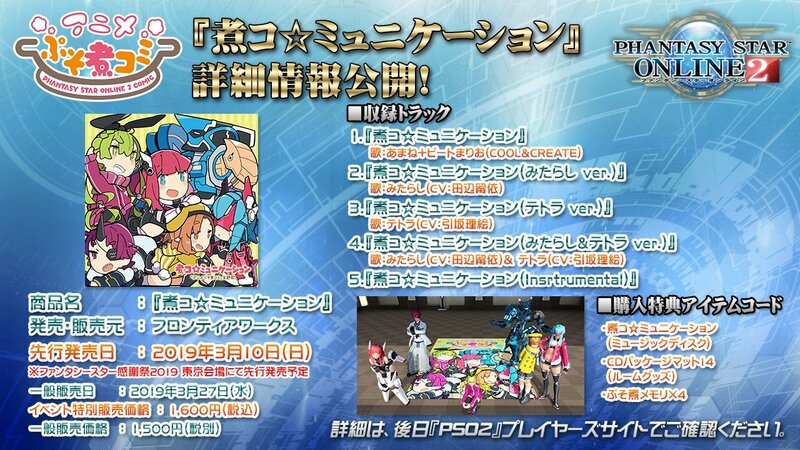 Lobby Actions for scenes from the TV Anime. 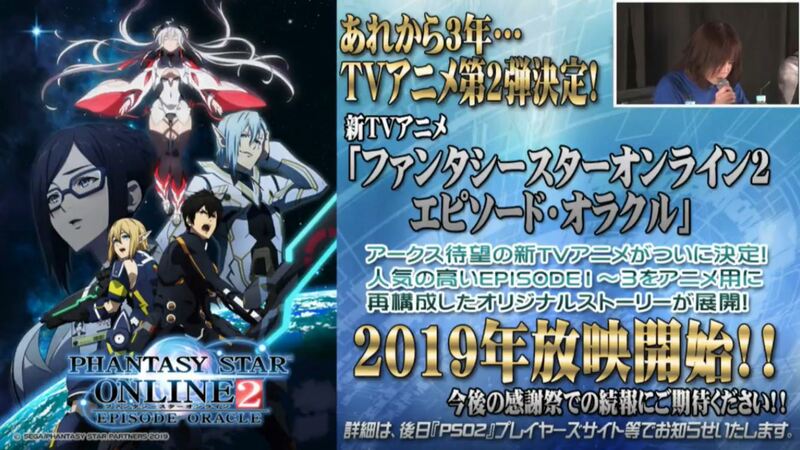 A new TV anime that restructures Episodes 1 ~ 3. 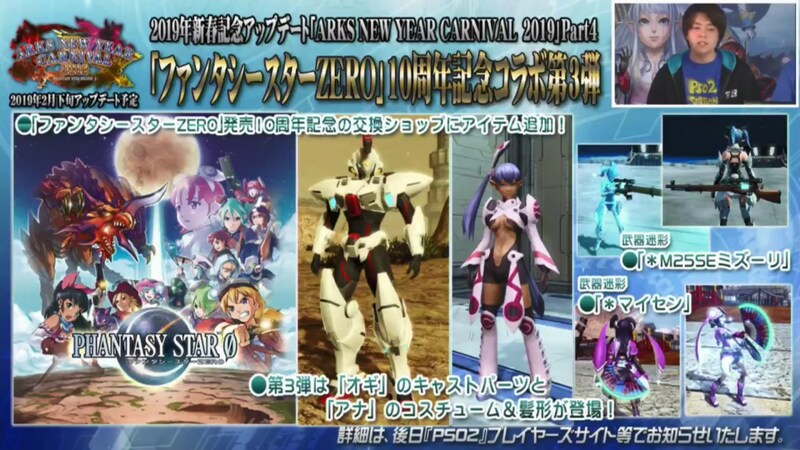 Details will be revealed at future Phantasy Star Festas. Broadcast Begins Sometime in 2019! 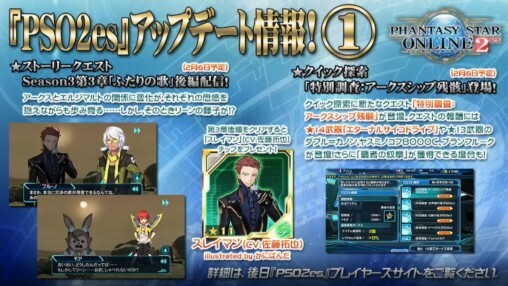 Subclass EXP gain increased up to LV. 70! 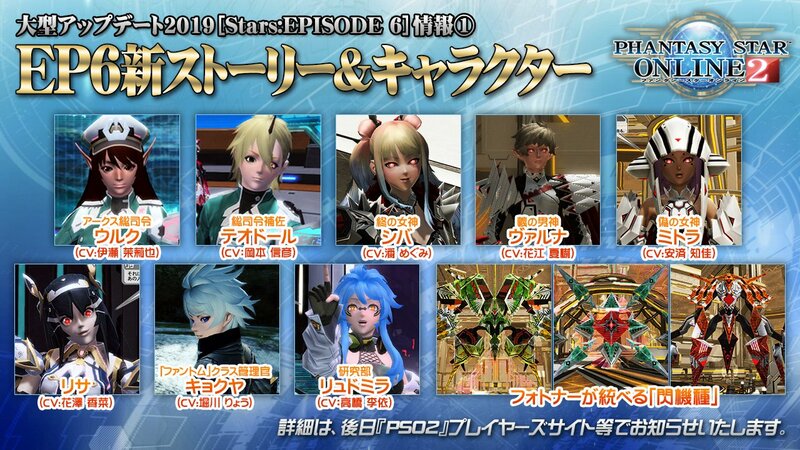 Akhtar, Lien, and Gene will appear in the lobby! 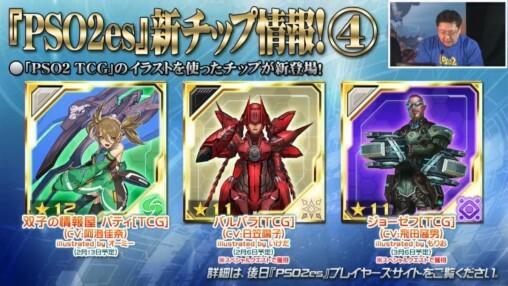 Complete client orders to get [Chip Fragments] so you can obtain collab items from the shop! 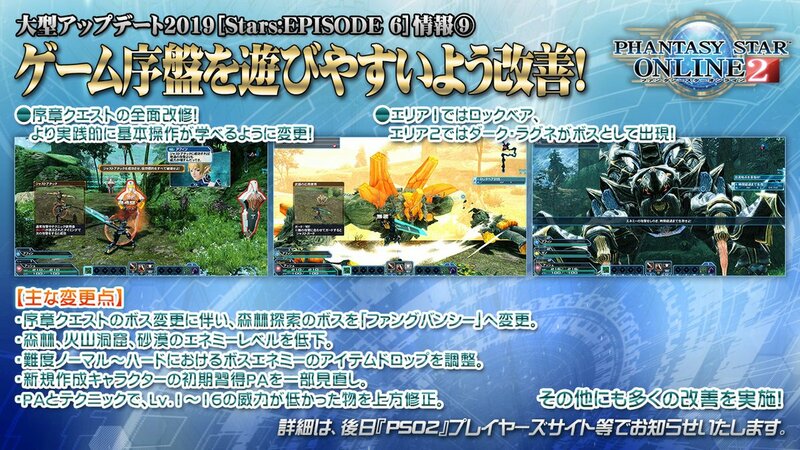 The concept of Episode 6 is for PSO2 to “Return to its Roots” with further enhancement of the Sci-Fi genre by battling the forces of [Luminmechs] & [Photoners] whose technology exceeds the ARKS! 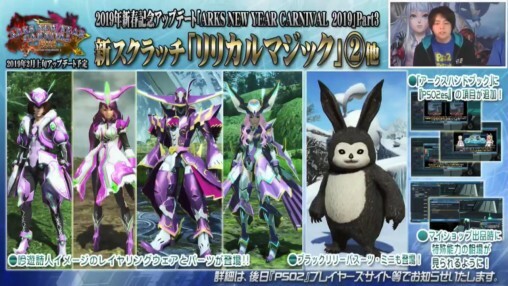 PSO2 will retain its premise of allowing you to “play with your favorite weapons and class” by continuing to update all classes throughout Episode 6. 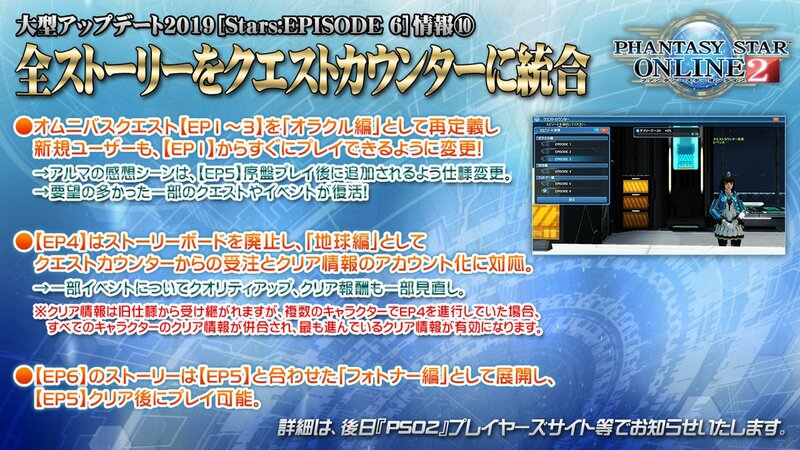 Each class will receive new actions, (for example new PAs, etc.,) which will gradually release throughout EP6. 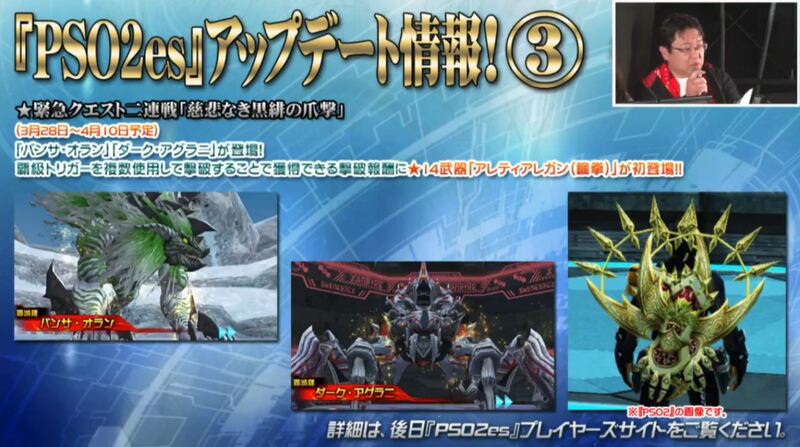 PSO2 will also introduce [Ultra Hard], allowing you to obtain a variety of items from powerful enemies. 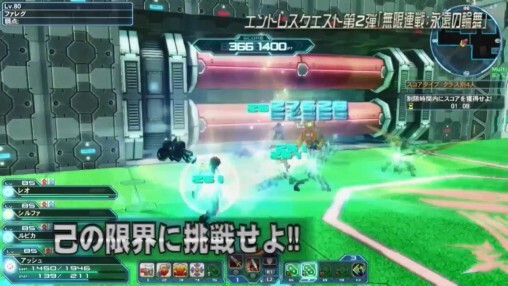 The game will not only enhance its battle, but also its communication aspects. And introducing the [Luminmechs] which Photoners control. 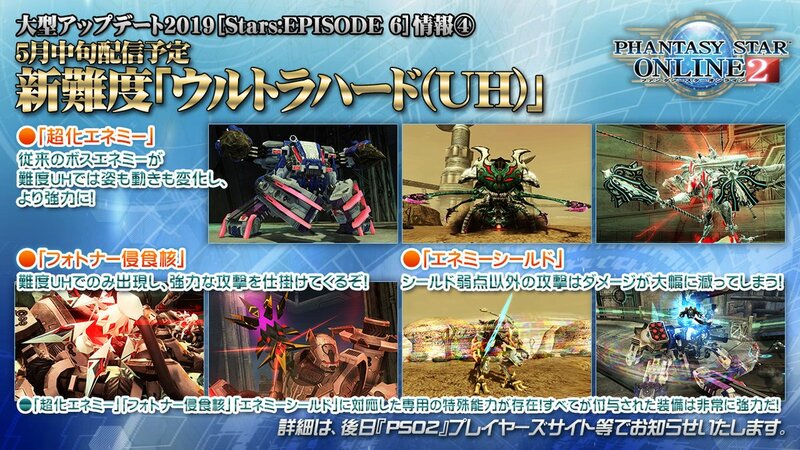 Bosses will have different appearances and movesets in UH. 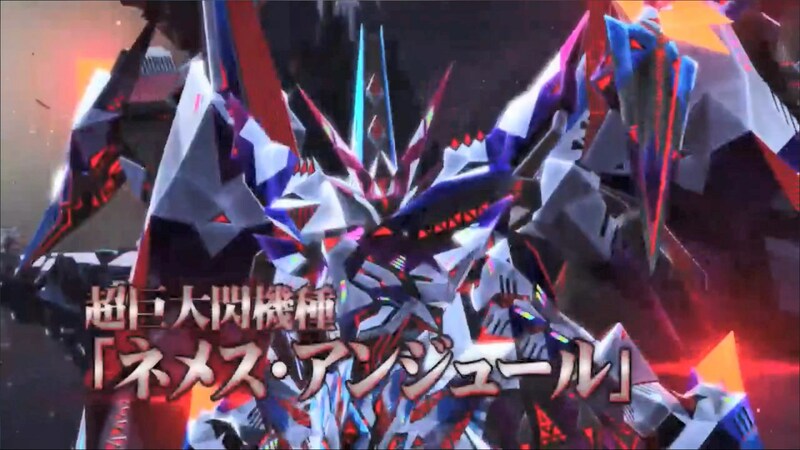 Appears in Ultra Hard difficulty and launches powerful attacks. 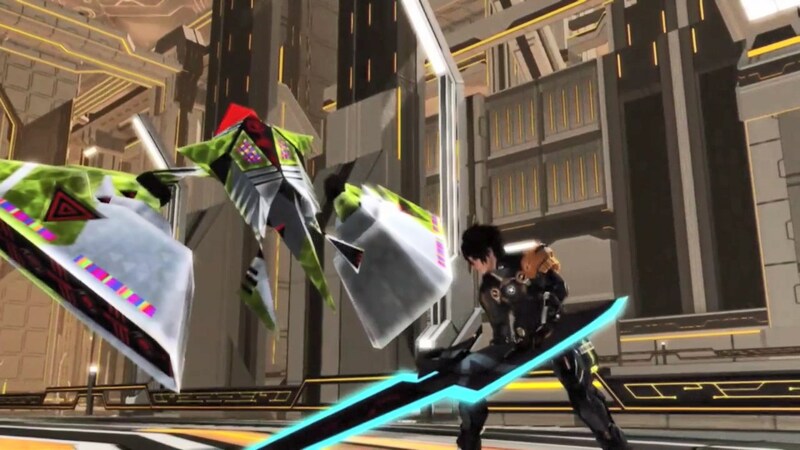 Drastically reduces damage if you attack areas other than the shield’s weakpoint. 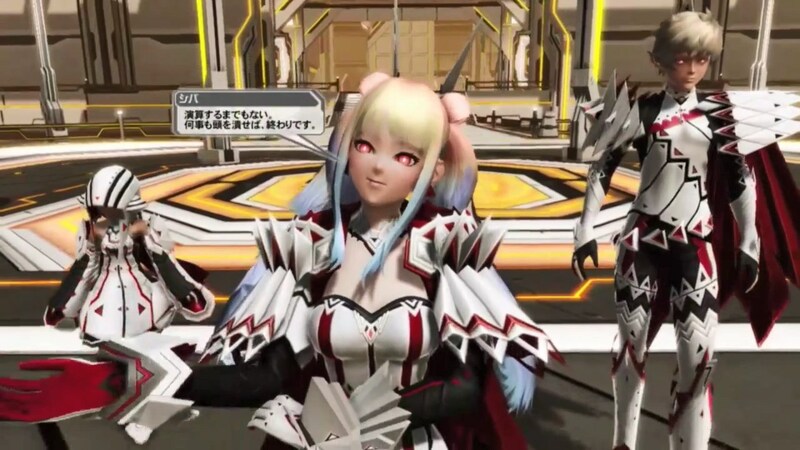 Shields will have various aspects, for example, they might be vulnerable to short-distance attacks, but highly resistant to long-range attacks. 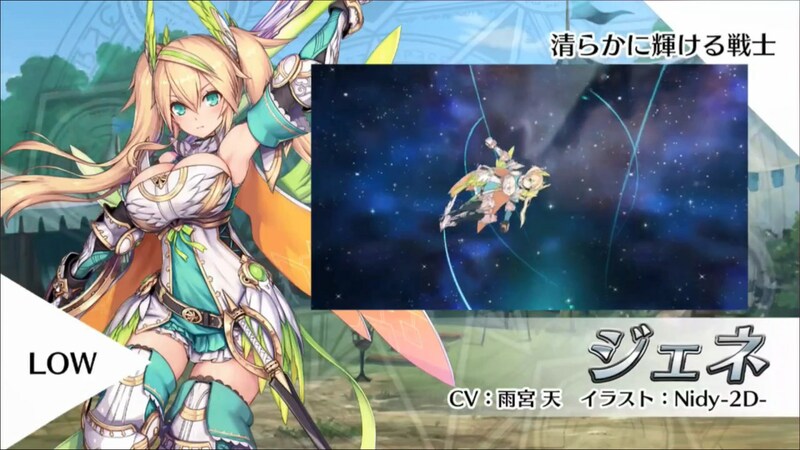 In another example, they could be strong against ground attacks, but weak to air attacks. [Armada of the End], an 8 player Emergency Quest! 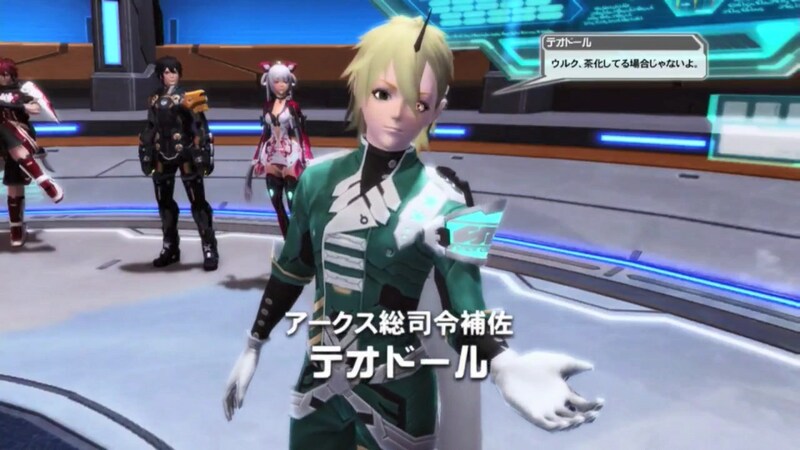 The Arks have a new ace up their sleeve, the [A.I.S Vega], which makes three-dimensional space battle possible. A new chat system where up to 100 people can participate. You can setup a group chat with your friends regardless of whether they’re in your team or not. You can join up to 5 chats. 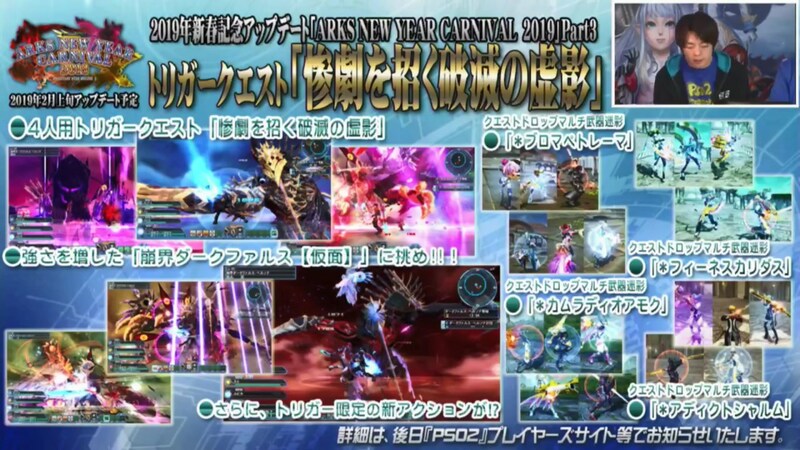 Guides the player into becoming a full-fledged ARKS. 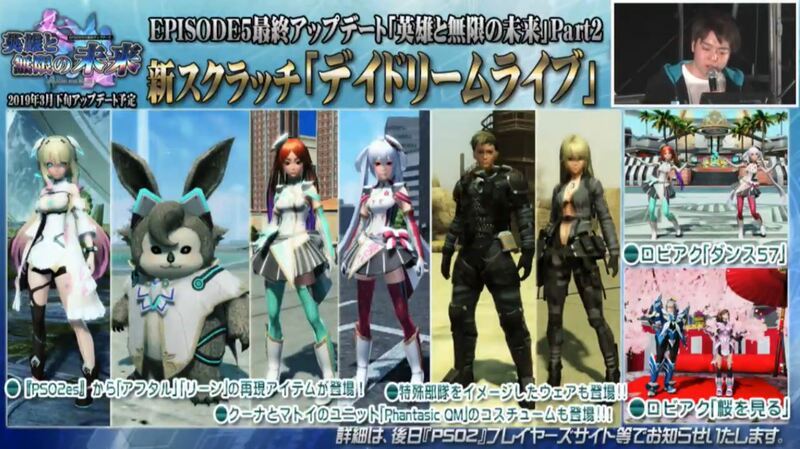 Deepen your understanding of PSO2 as you gain equipment and explore various features. 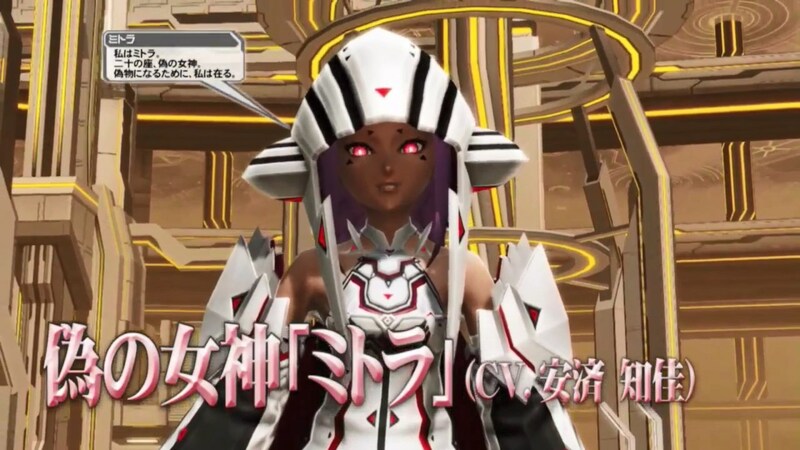 Clear any Endless Quest once for 420,000 Meseta and 160,000 EXP. 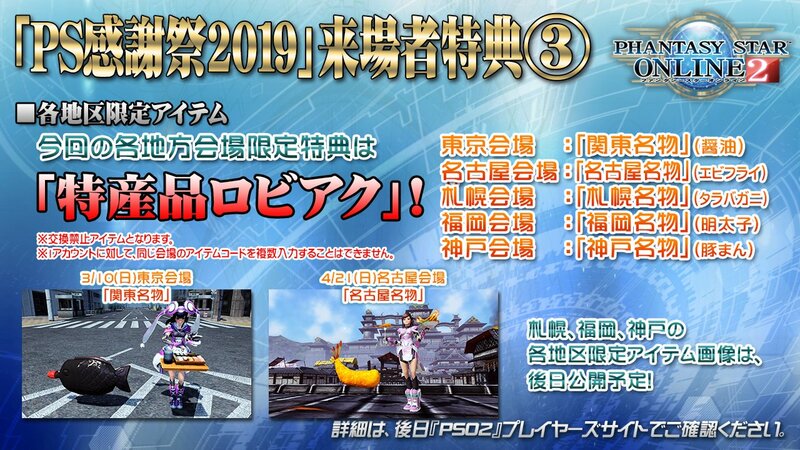 Collect 350,000 meseta through CO rewards for 700,000 Meseta and 240,000 EXP. Arks Road will be suspended. 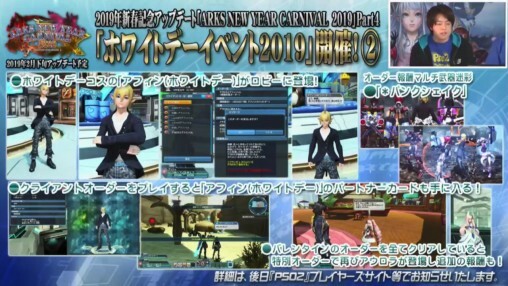 Navigation System will be integrated into [Main Missions]. 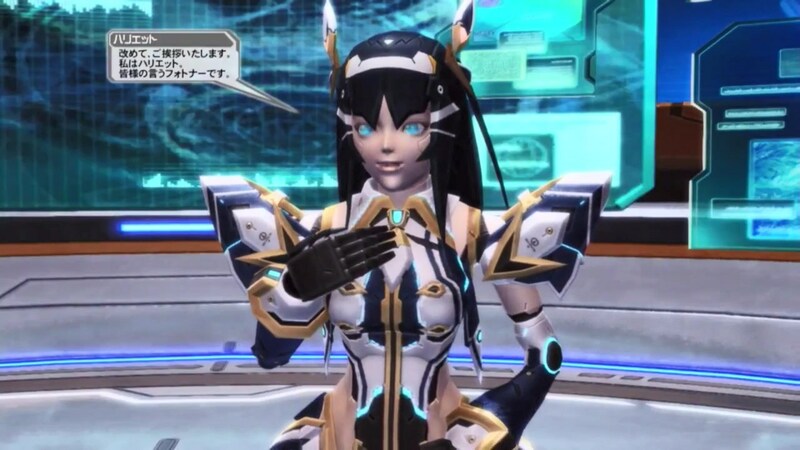 Astarte will now be known as the [Arks Mission Administrator]. They will reduce the amount of Meseta earned from Klotho’s client orders, but will distribute the equivalent through [Daily/Weekly Mission] rewards. Completely improved the game’s prologue! Made the basic operations more practical to learn. Forest, Caves, And Desert will have lower enemy levels. 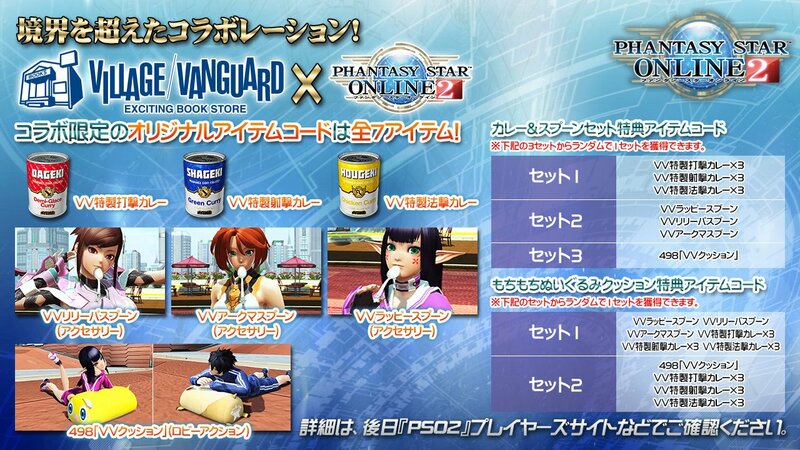 Item drops will be adjusted on Normal ~ Hard Difficulty. Revised some of the initial PAs you learn on a new character. 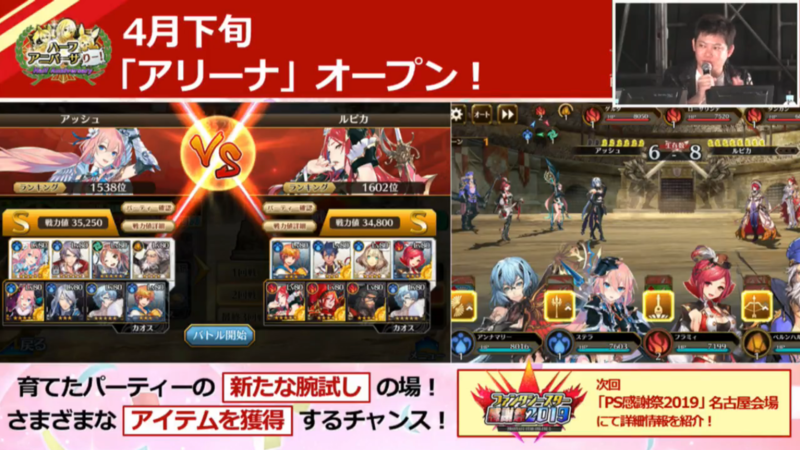 Integrated all Story Content into the Quest Counter! Scenes of Alma’s thoughts will occur if you play the opening of Episode 5. Restored certain quests and events that were in high demand. 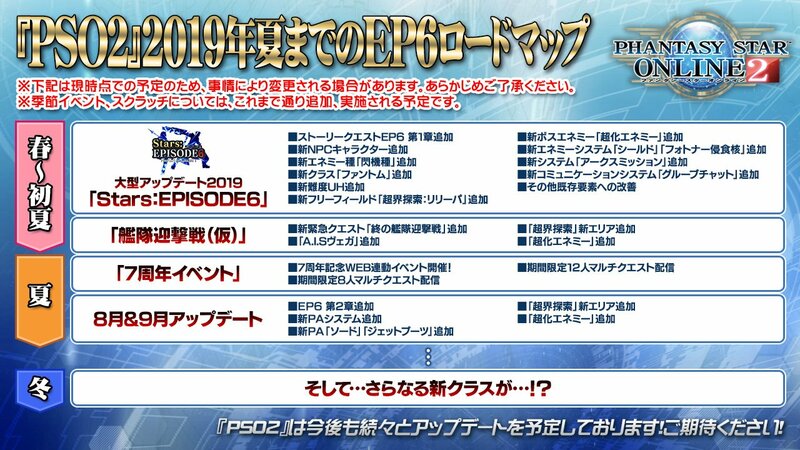 EP4 will be classified under the [Earth Arc]. 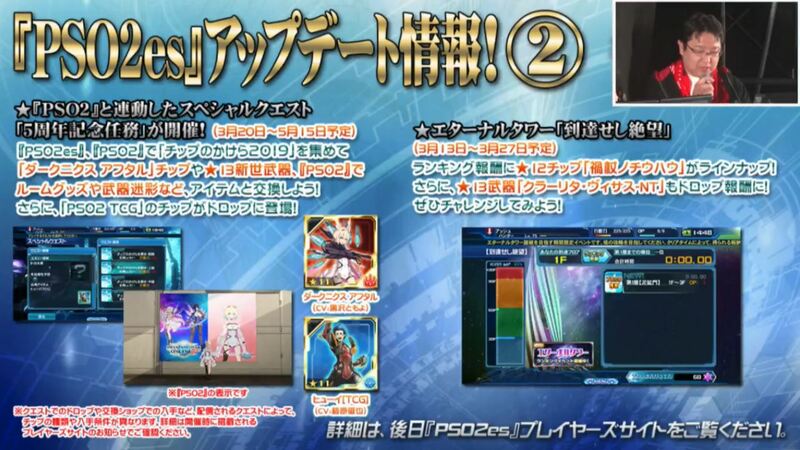 The Story Board will be removed. 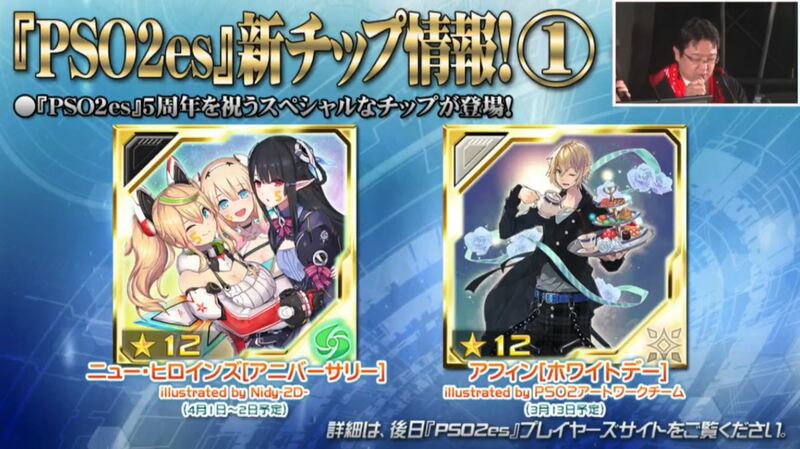 Improved the quality for certain events and revised the clear rewards. Episode 5 and 6 will be classified under the [Photoner Arc]. 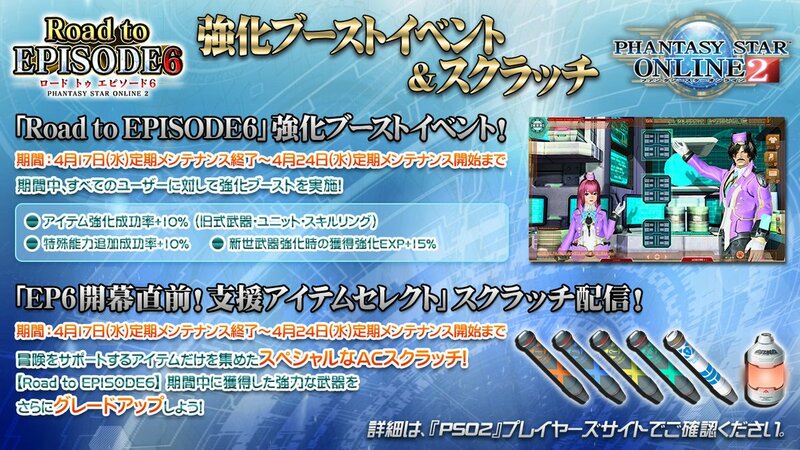 You can play Episode 6 after clearing Episode 5. Customize the reduction in effects of other players. Place PAs on your Sub-palette. All the support effects on the Photon Tree are available. 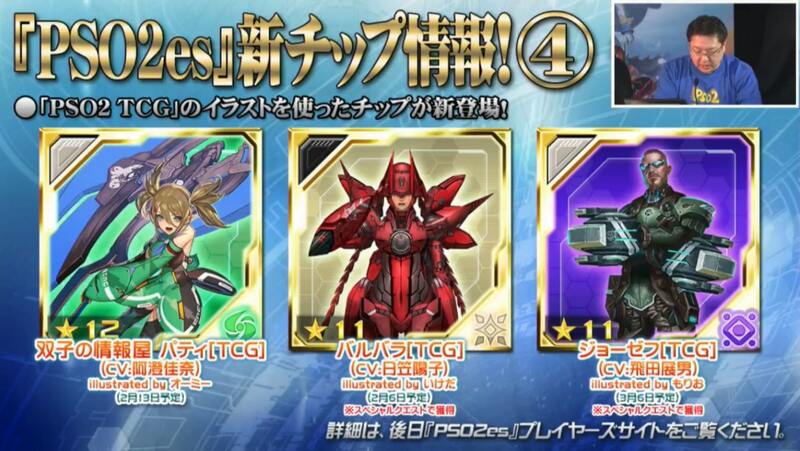 A New Class is …!? Some information is taken from social media and might be incorrect or missing context. Visitors who attended the Phantasy Star Fan Festa 2019 got their first-hand trial of the adjustments made to Phantom class. Strengthens Jellen when you attack an enemy afflicted by Jellen. 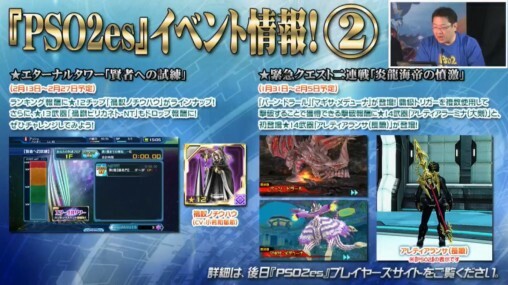 When you receive an attack when your HP is 50% or below, it will nullify status effects and greatly reduce damage. Recast Time will occur after activation. 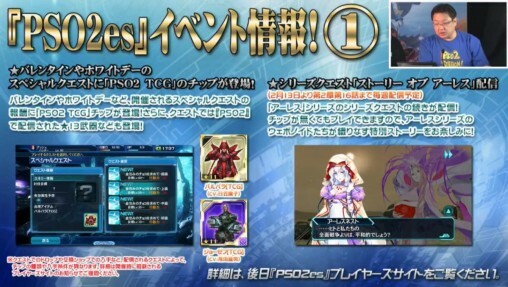 Increases Critical Rate and Critical Damage based on the Max PP. PP consumption reduced by 20%. Provides a Marker Accumulation Bonus during Phantom Time. Recovers PP when you’ve accumulated the max amount of markers. Decreases markers, and increases marker detonation power. 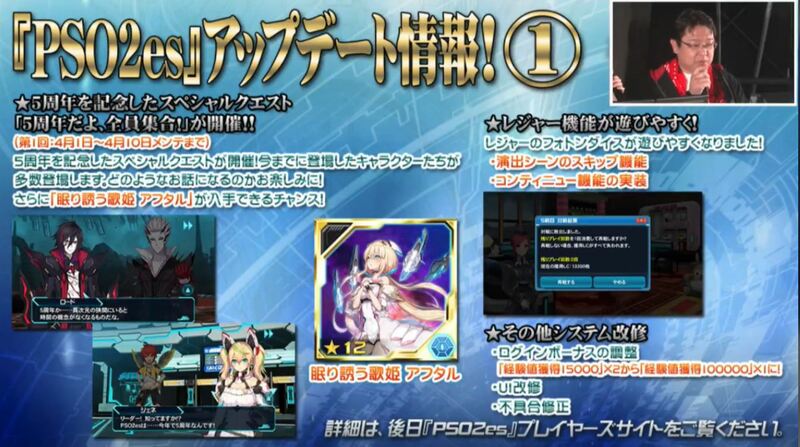 Provides a Marker Accumulation Bonus when attacking enemies suffering from Status Effects or Jellen. 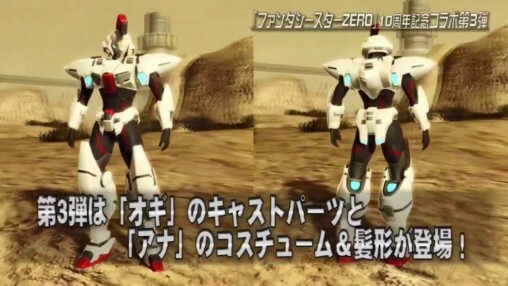 Accumulates Markers towards an enemy hit by an attack. 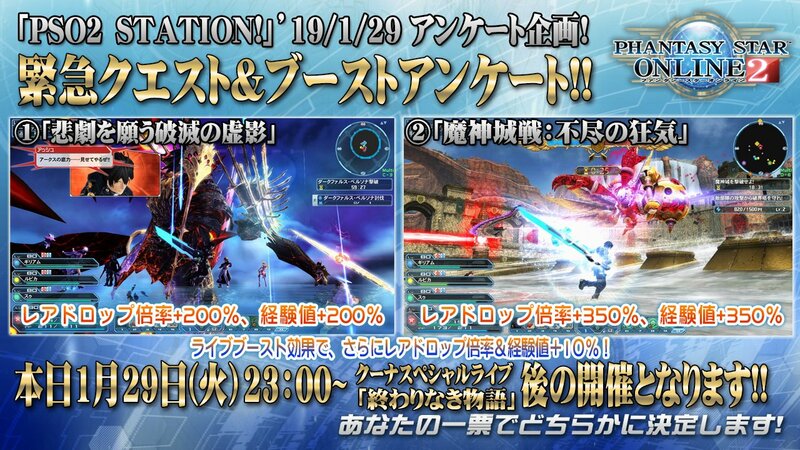 Provides a Marker Accumulation Bonus when attacking enemies at long-range. For Katanas, when you perform a weapon action at a specific time, the behavior will change. While using Rifles, markers are accumulated by Marker Detonation. Increases movement speed while charging Technics. Reduces Technic charging time and PP consumption, but also lowers the power. 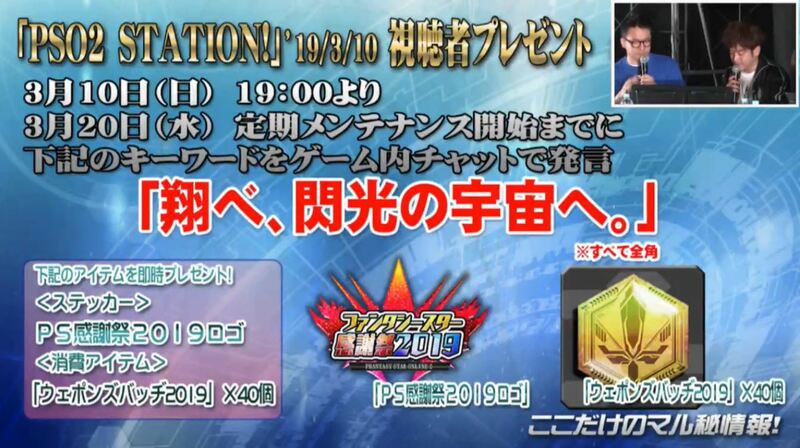 Auto PP Recovery / Attack PP Recovery: 130% Each. 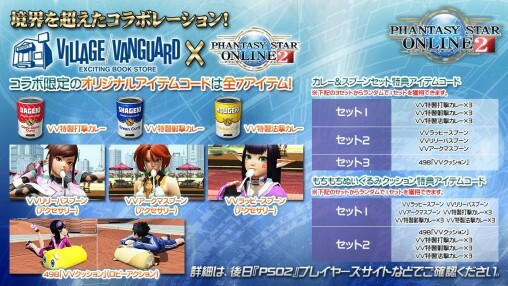 Increases damage based on your max PP. Will there be other opportunities to obtain Atol Orbit? 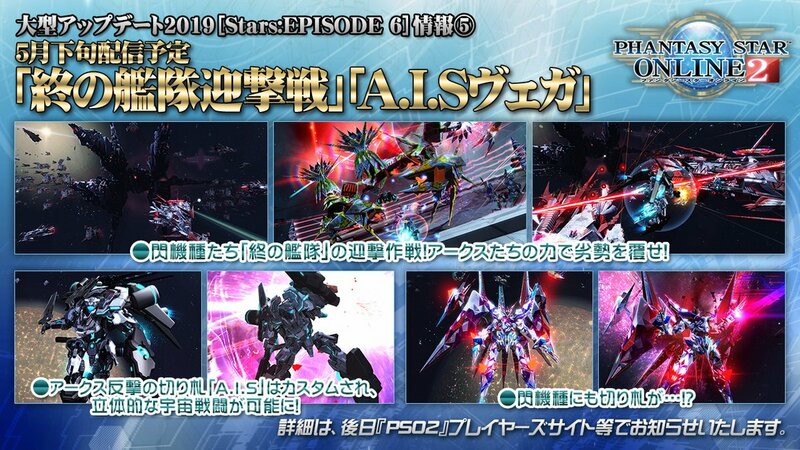 They don’t have plans for this, however another version of the Orbit weapons will be implemented eventually through Ultra Hard. 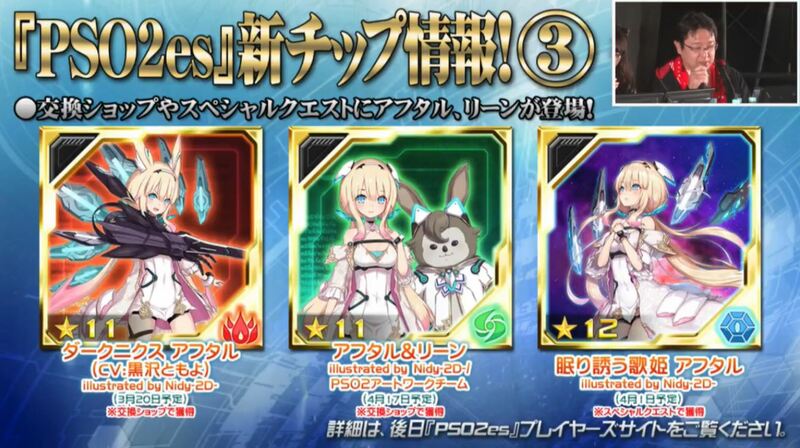 What are the requirements for Ultra Hard? 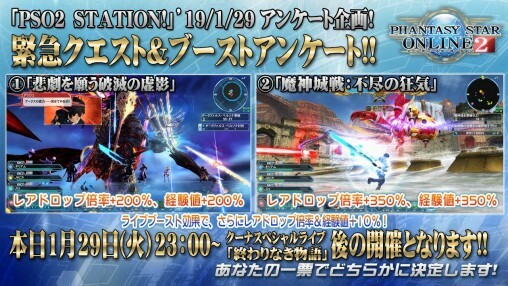 Lv.85 for Main and Sub Class will be required. Will there be plans to update the Expert conditions? Yep! It won’t happen at the launch of Episode 6, but they’ll eventually change the conditions at some point in the future. It appears you’ll need to do solo content this time. 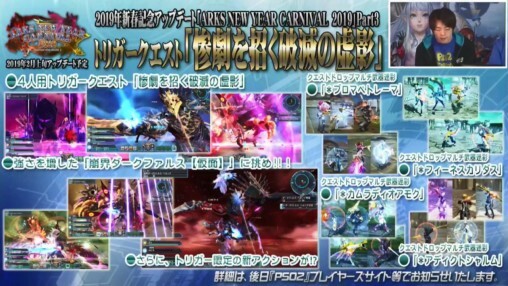 Will “Tech Arts” type skills/rings/abilities apply to Phantoms when they connect Normal PAs to Shift PAs? 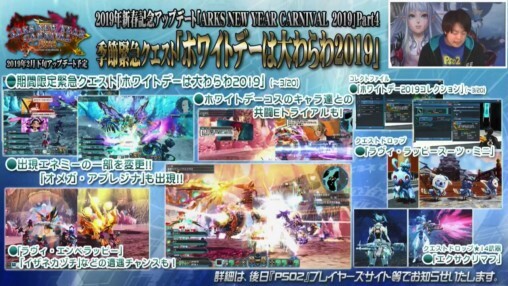 Tech Arts-type effects require different PAs to connect. If you do Normal PA1 -> Shift PA1, this won’t count because they’re classified as the same PA. Instead you’d need to do Normal PA1 -> Shift PA2 for it to apply. Are there plans to redistribute the Basilis Weapons? Yes! The Basilis weapons will eventually make a comeback as a drop. At what point will they allow trading for all ★13 weapons? It’s still too early to say, but someday they want to do it. Will they bring premium service for the Random Drink? They don’t have plans for this. 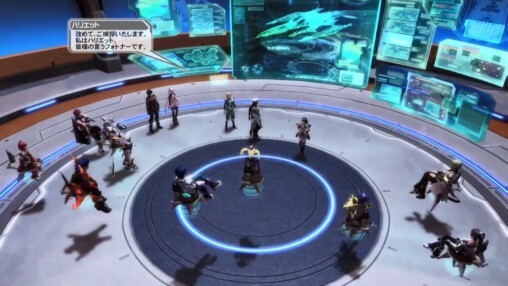 Do they have plans for new compound rings? At present, they do not have plans for new compound rings. 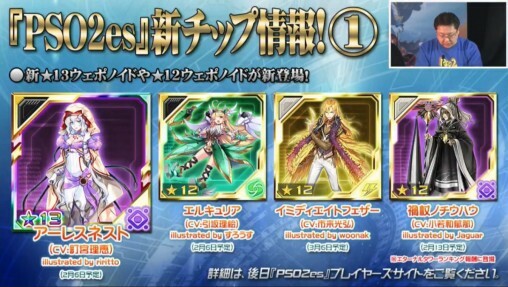 Will the Evleda Unit upgrade be strong enough for Ultra Hard? 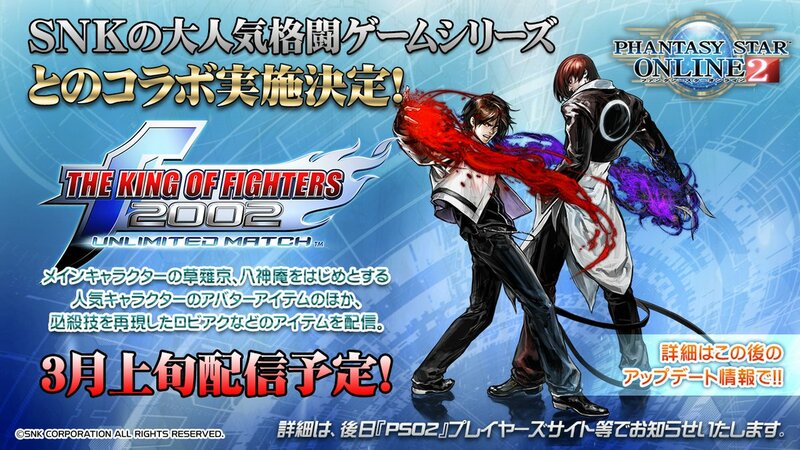 So how many people have the entire Austere-NT series? Do they have plans to raise the PA/Tech level? 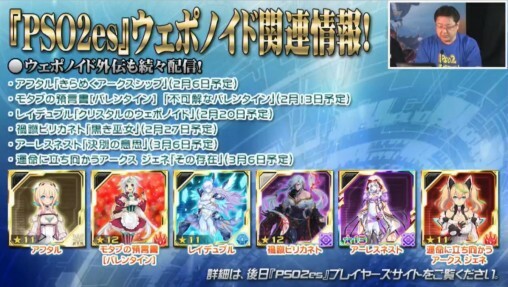 Hey, so a while back you made adjustments for Bravers in regards to Rapid Shoot and Divine Raikou’s potential. 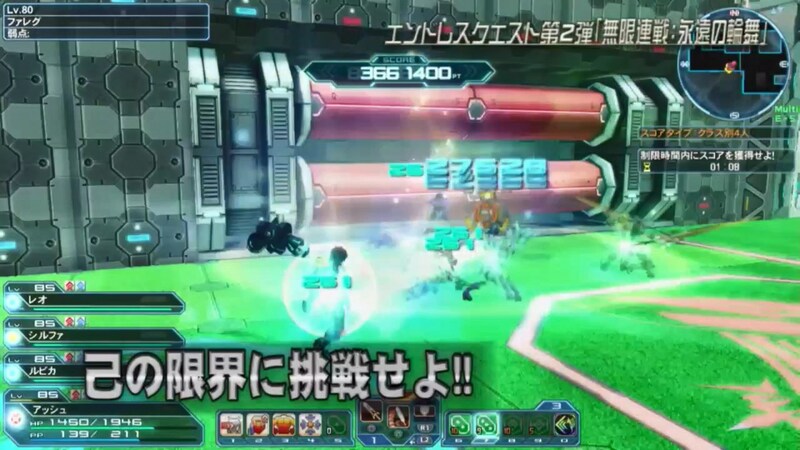 Will we see something similar for Techers, like Wand’s normal attack speed and Lavis Cannon’s potential? Adjustments will be made to Wand’s normal attack speed. 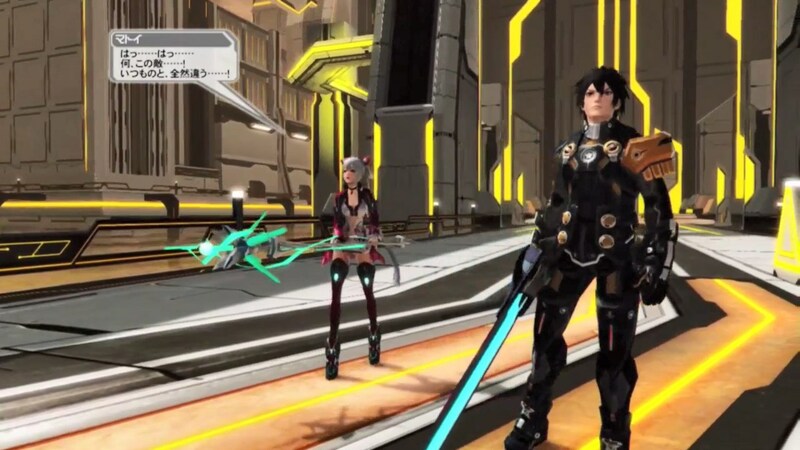 We’re going to raise it so that it’s of similar speed to the current S4: Swift Strike. 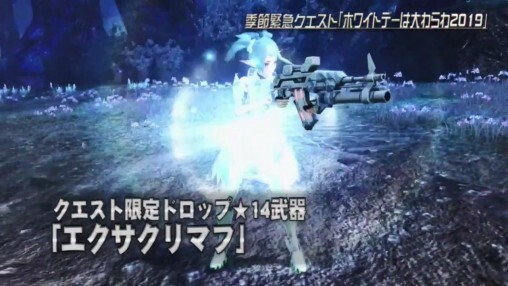 In addition, S4: Swift Strike will be adjusted to be a little bit faster, and will be placed about halfway between Wand’s normal attack speed and Lavis Cannon’s speed. 65 players have cleared the trigger quest solo. 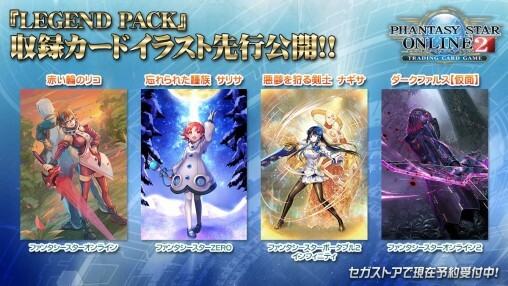 Chance to obtain Songstress Akhtar chip. Photon Dice becomes easier to play! 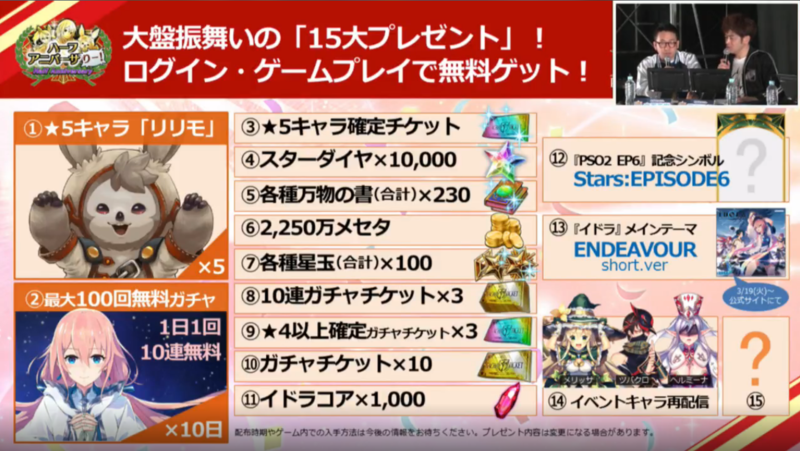 You will now get [100,000 EXP Ticket] x1 instead! 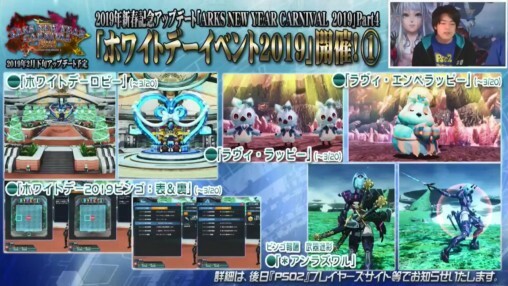 Gather [Chip Fragments 2019] in [PSO2] & [PSO2es] to exchange for the [Darkness Ahktar] chip, ★13 NT Weapons, and [PSO2] Room Items and Weapon Camos. You can get Lillimo during the Anniversary event. 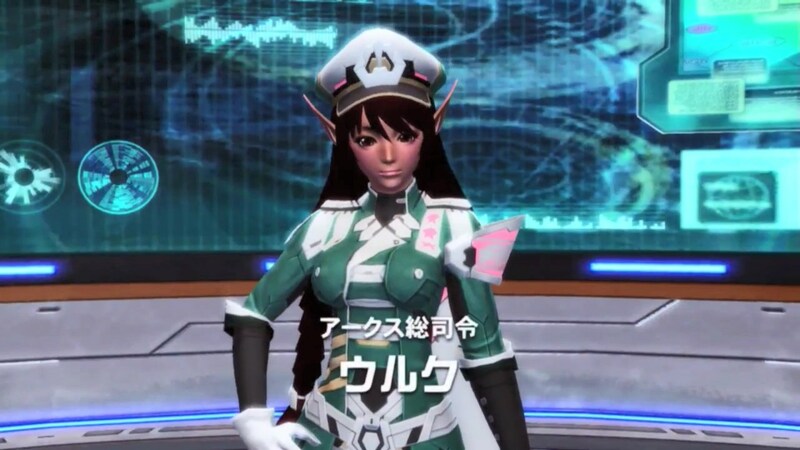 Gene from PSO2es will appear in Idola! The Arena opens late April. Put your party’s skills to the test. Download the Arks New Year Carnival 2019 Theme for Free on the Japanese PlayStation Store. 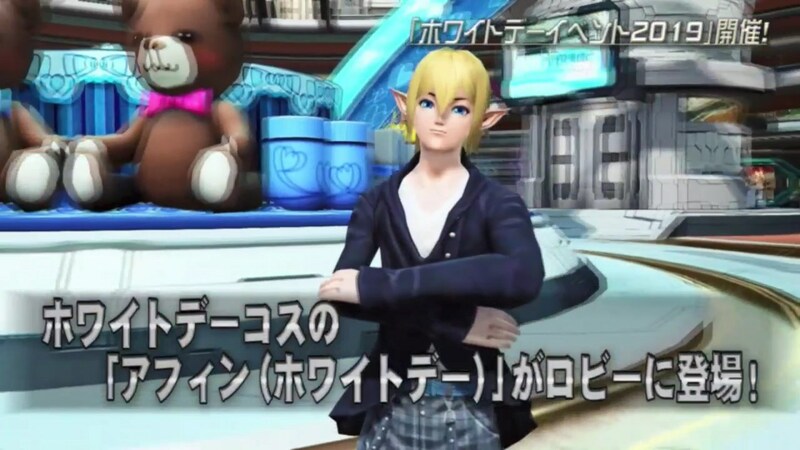 Make sure to clear Aurora’s Valentine COs so you can get a new exclusive client order during White Day. Potential: The 3rd normal attack has an explosion upon impact. 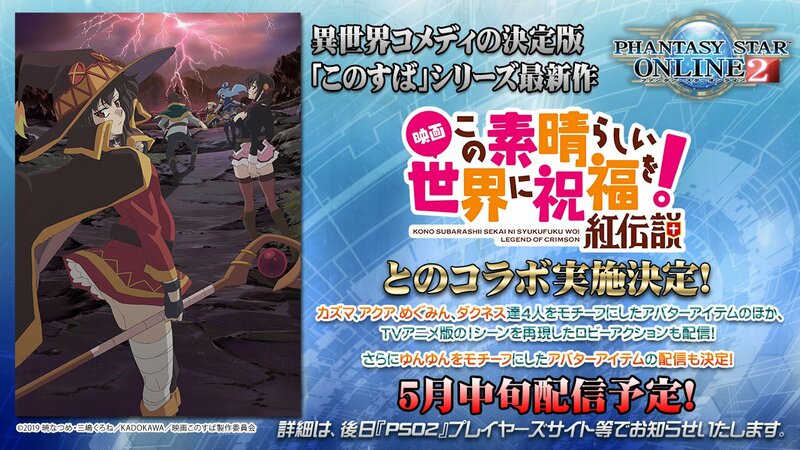 It’s a “Movie Live,” but this time, (instead of Matoi), it’s the first four episodes of Puso Ni Comic Anime. 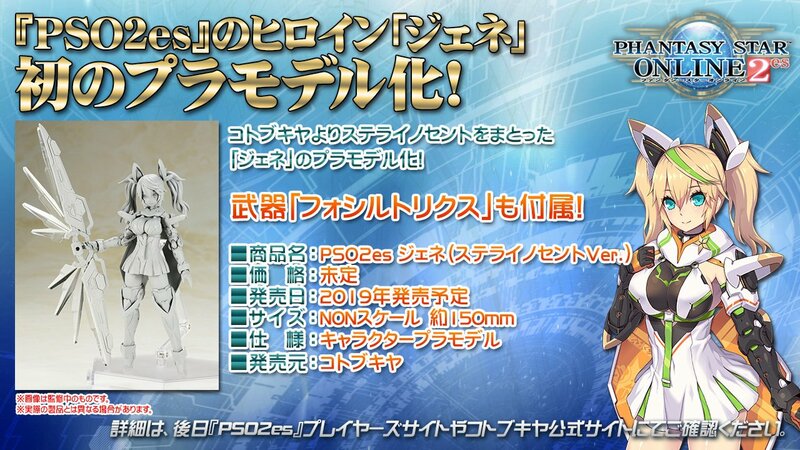 There will also be a Live Boost. Has Vegas Illusia with new actions like a roulette attack. Drink Terminals and Recovery Pods were added to the Interval Area. 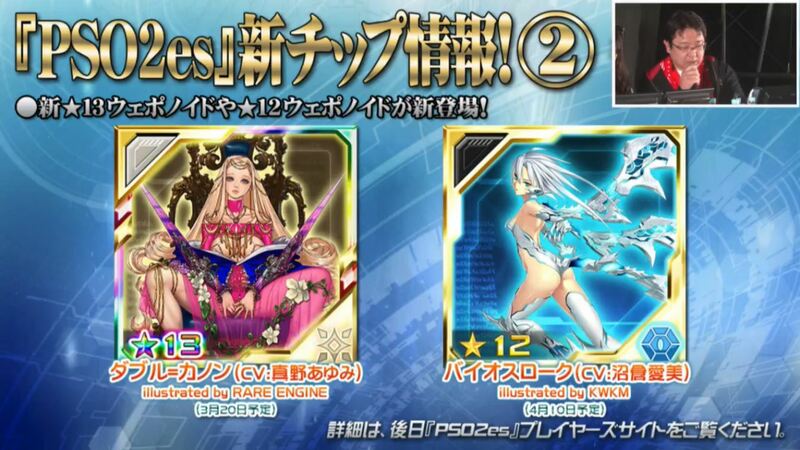 The types of orders that appear changes based on # of players. (S2) Reduces PP consumption after PA/Technic hit for 30 seconds. In rare cases it reduces PP consumption even more. 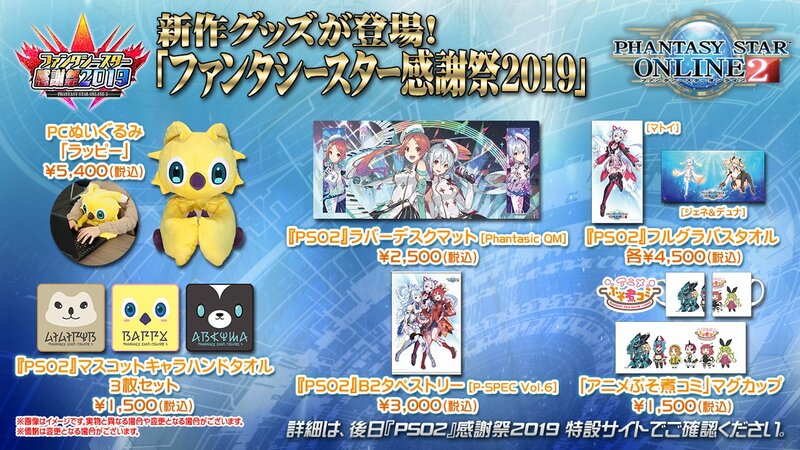 Premium Only Super PSO2 Day is Feb 22nd. 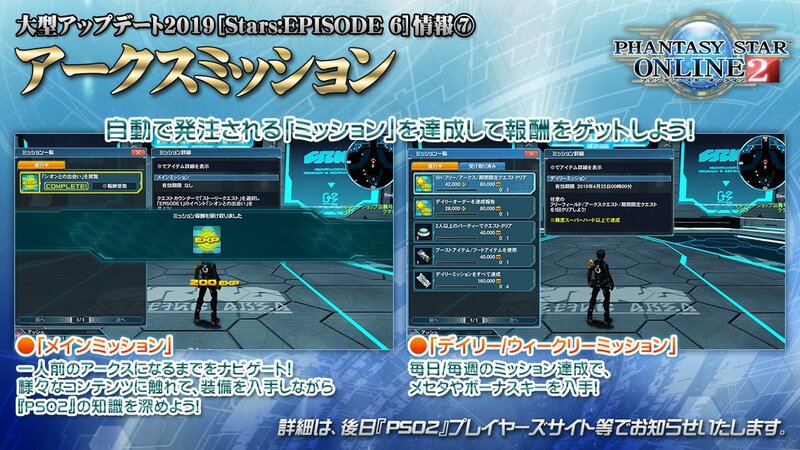 Increased rates to get it will be coming in Episode 6. 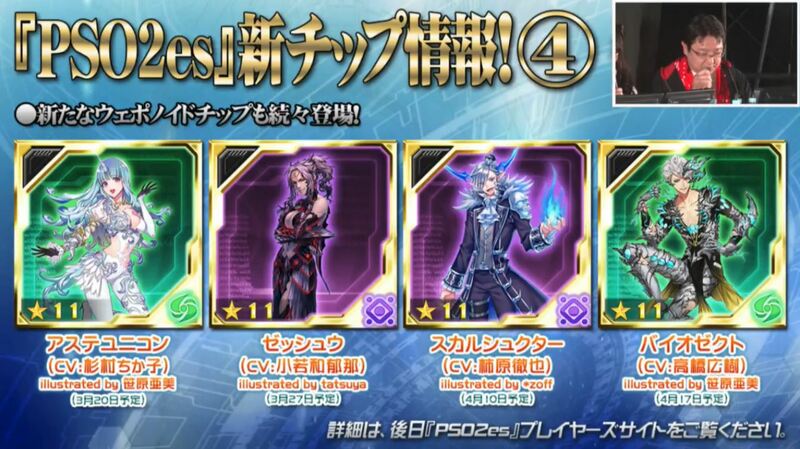 The drop rates for the Xion units are the same on XH and SH. When Is Perpetual Madness Trigger? 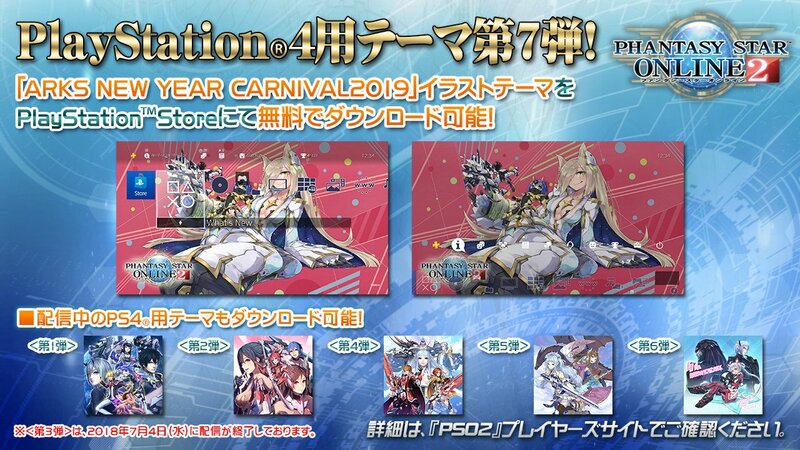 Should be coming around April. 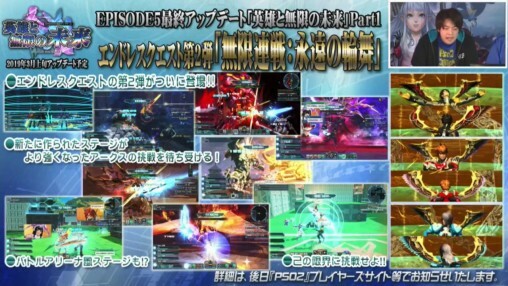 Will there be Graphics Setting Stage 7 with Episode 6? How Many People Have A 7 Slot Item With Returner V? 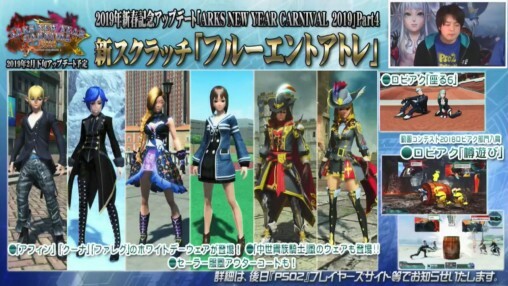 As of February, it appears nine people have it equipped. Nobody has an 8 Slot item with Returner V.
How Many People Have the Forever Loner Title? As of February, it appears twenty nine people have it. 24 GuFis, 4 Heroes, and 1 FiHu. When Will Episode 6 Come Out? 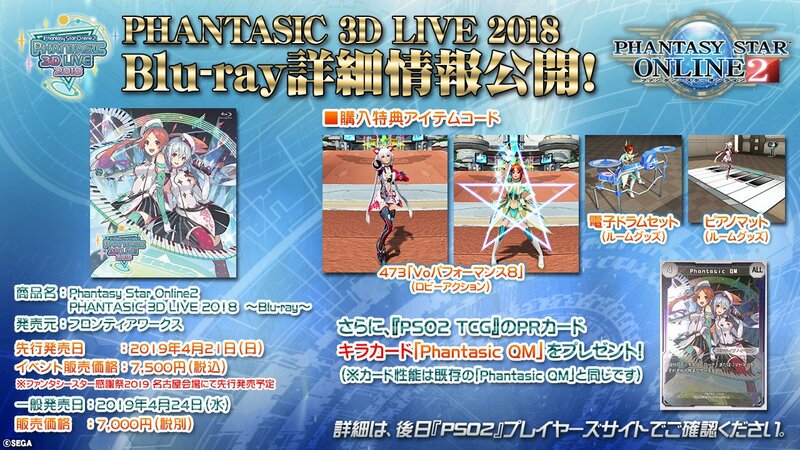 They will announce the release date at the Fan Festival next month. Will Gathering be added to Enchanted Forest? They currently do not have plans for this. 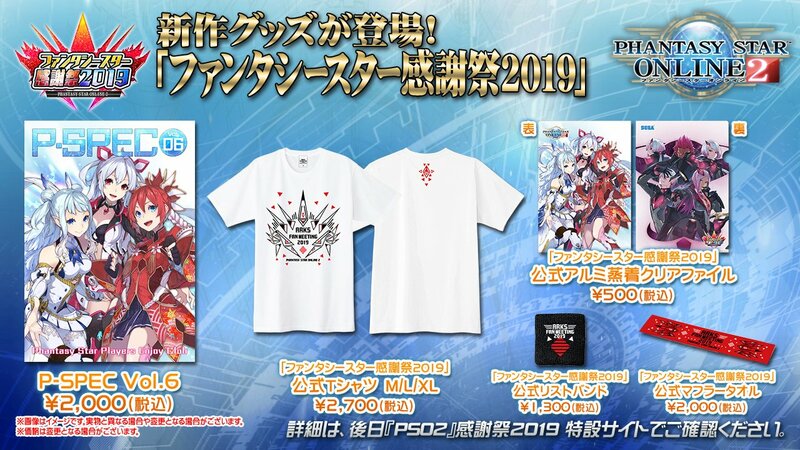 Play the [ABT2019 Preliminaries] Quest for rewards. 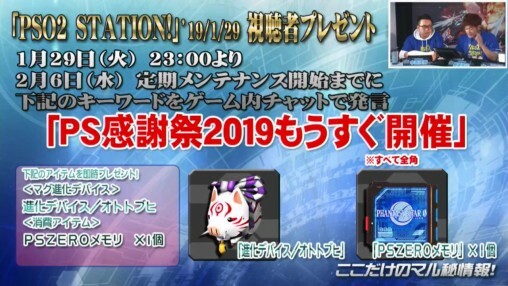 You’ll receive Weapons Badge 2019 based on the number of clears. 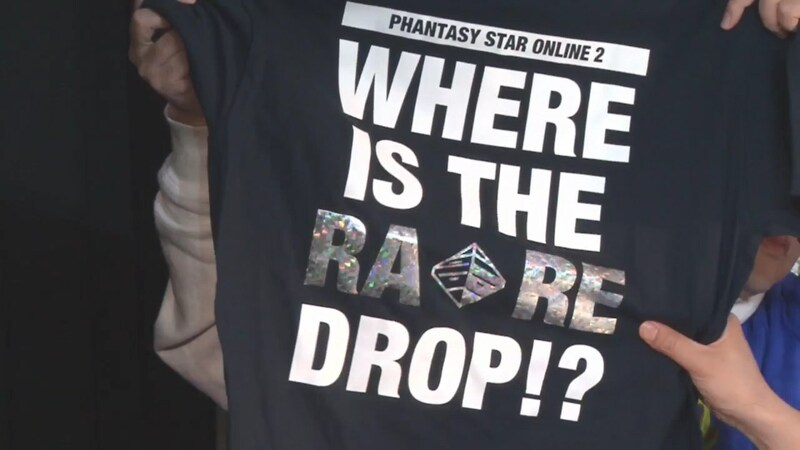 Say the following phrase in chat for rewards! 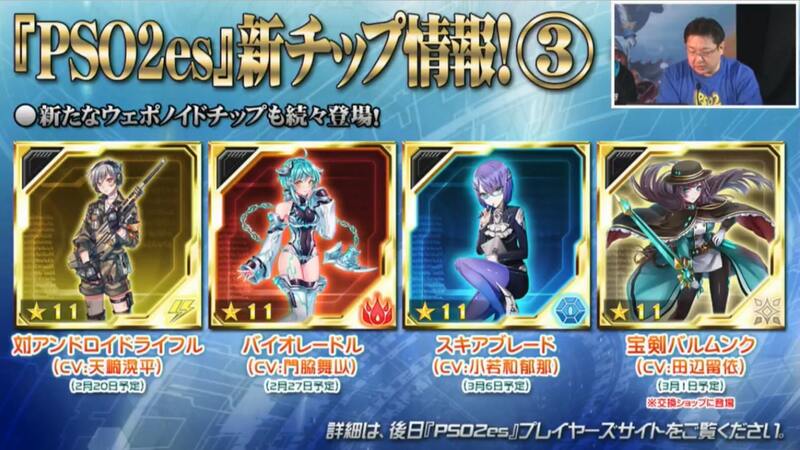 You have until Feb 6th Maintenance to complete this task! 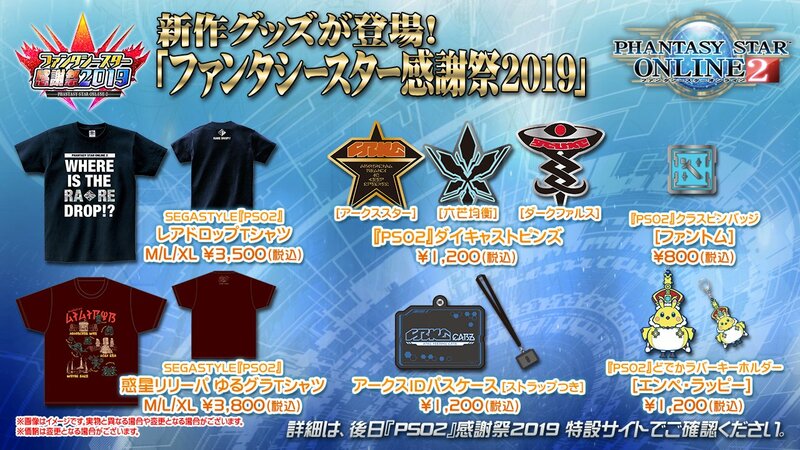 Item Code Sets are random. 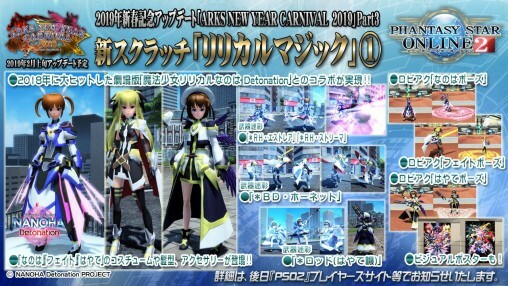 Nanoha, Fate, and Hayate’s Costumes, Hairstyles, and Accessories. Wandering Musician Layered Wear and Parts. When putting up items through your Player Shop, you can now search the prices of items with specific special abilities. 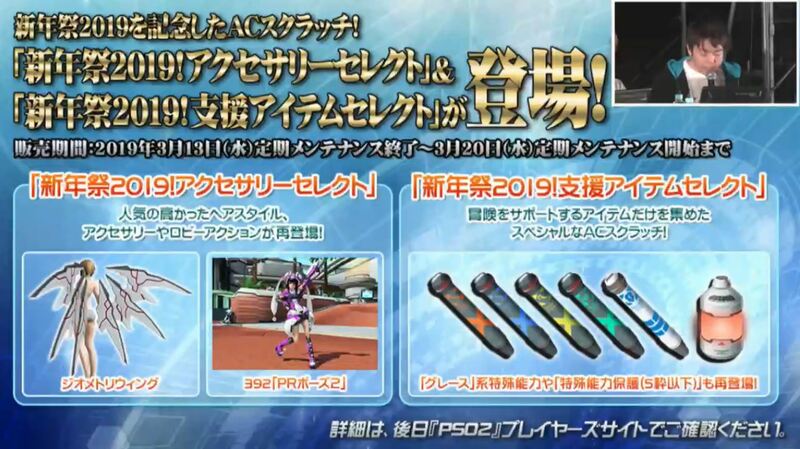 New Weapon Camos will drop in this version. White Day Afin appears in the Lobby. 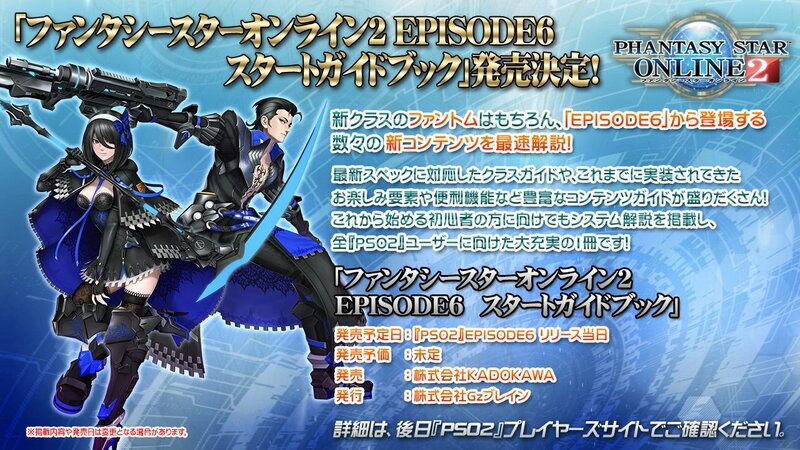 You can also get his Partner Card too! 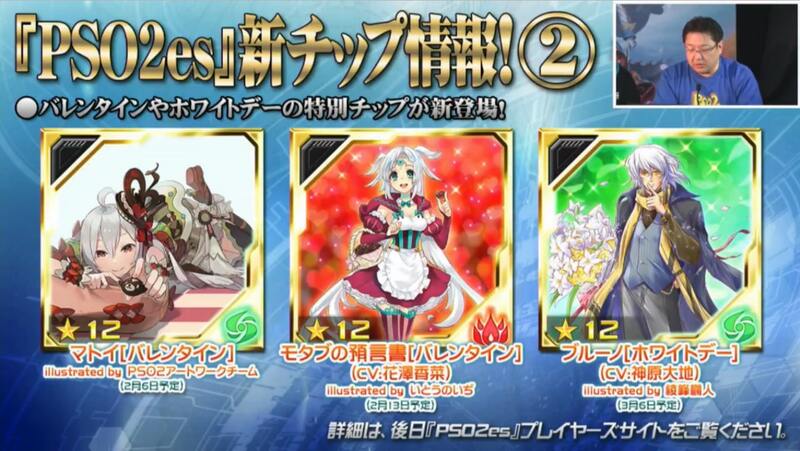 If you clear all Valentine’s Client Orders, Aurora will reappear with special orders and additional rewards. 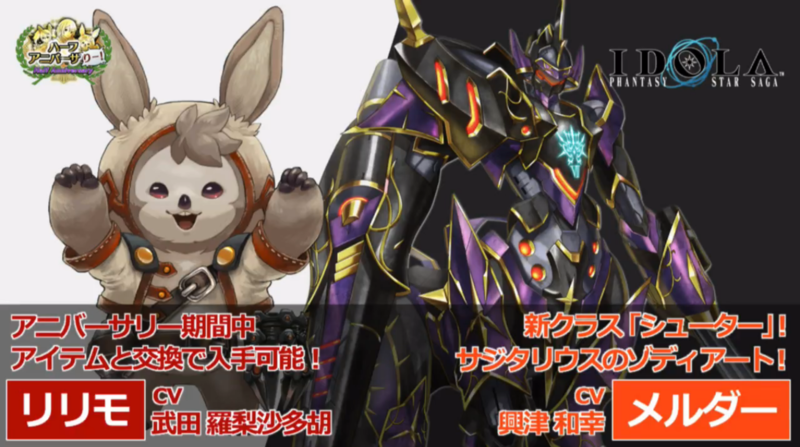 Afin, Quna, and Phaleg White Day Outfits. Some enemy spawns have changed. 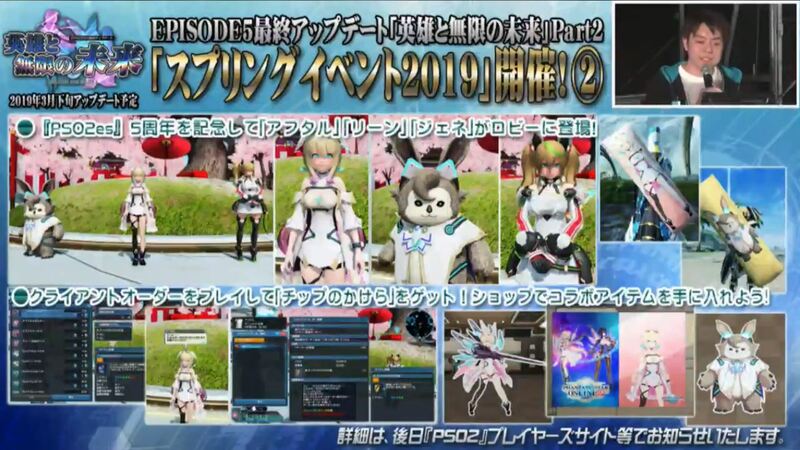 Characters wearing White Day costumes will appear! 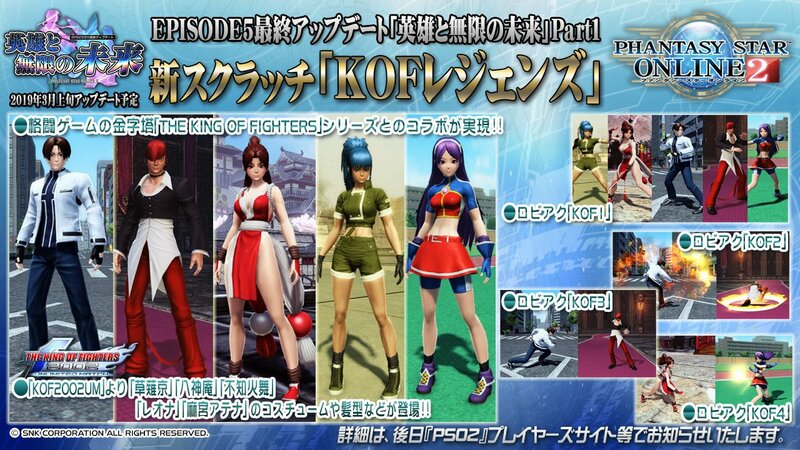 Lovey Empe Rappy / Izane Kazuchi has a chance to appear. New Stages for More Powerful Arks Awaits! 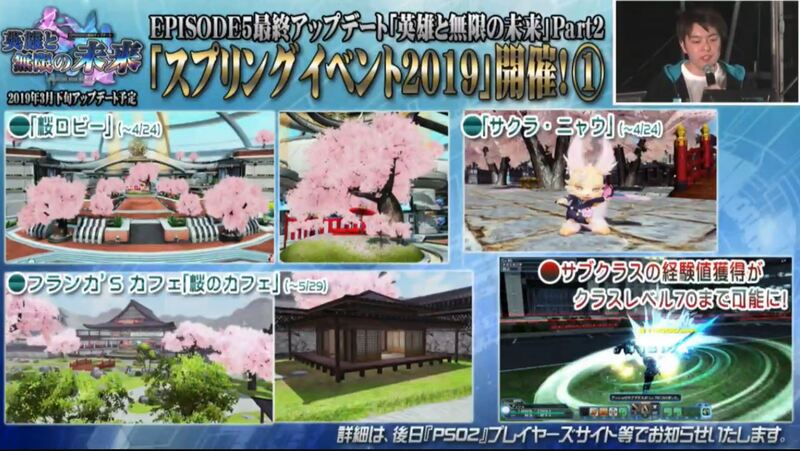 There’s even a Battle Arena style stage!? 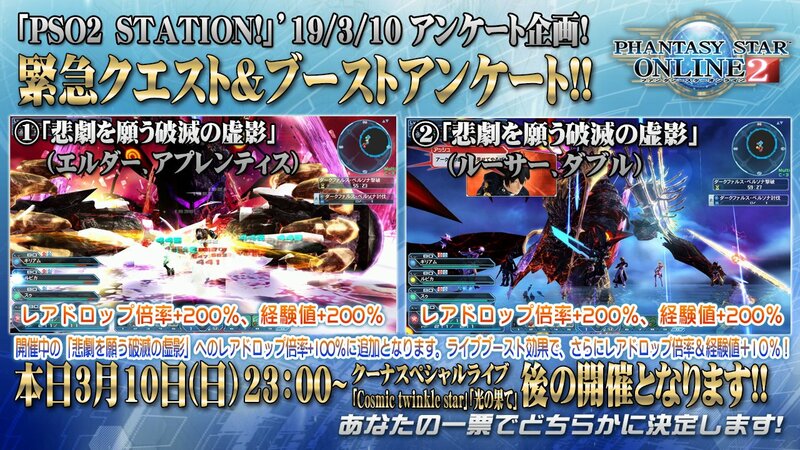 Akhtar, Motav Prophecy [Valentines], Ray Dual, Evil Pirikanet, Ares Nest and Gene [Season 3] all will get gaiden stories (and/or) chapter additions. 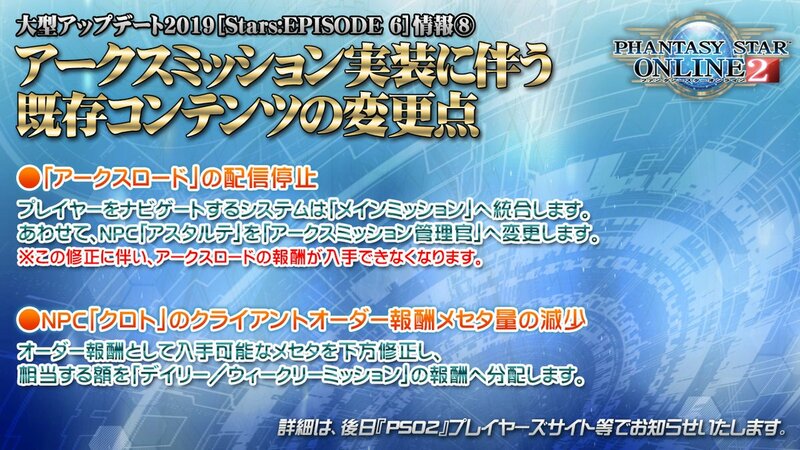 More [TCG] related special quests will arrive at a later date, similar to the previous three, they’ll have [TCG] character chips and drop ★13 weapons. The Ares weaponoid story gets a second chapter (2/13). Learn more about Ares Nest and more Ares weaponoids! 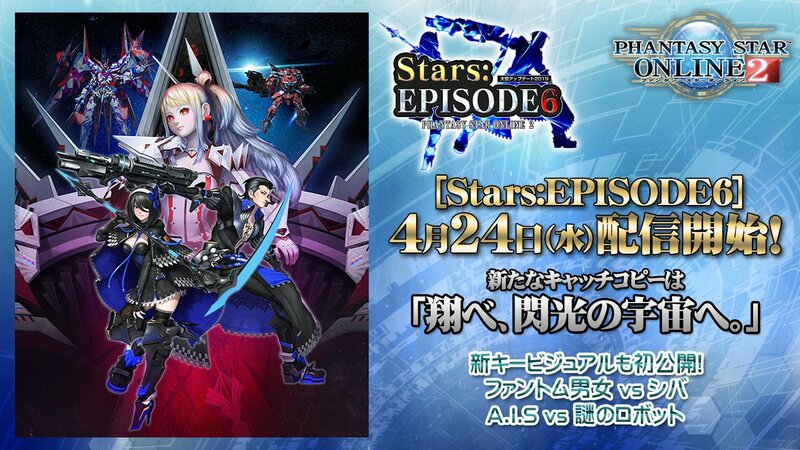 Fight against Burn Draal and Magisa Meduna in a double-feature Emergency Quest, with another ★14 Aletheia series appearing as a drop, ★14 Aletheia Lancer. This upcoming Eternal Tower features a new ranking chip: Evil Nochiuhau. Evil Pirikanet-NT will now drop here. Miscellaneous updates such as UI adjustments and changes to the Leisure activites in March. 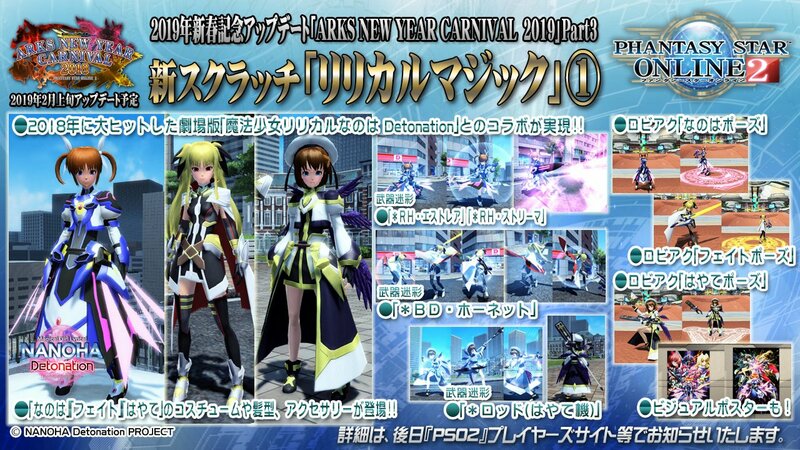 The Phantasy Star Fan Festival is an offline event where players can meet up, participate in the battle tournament, try out the new Phantom Class, and take photos with the official Phantom cosplayers. Each offline event takes place in a different location each month. 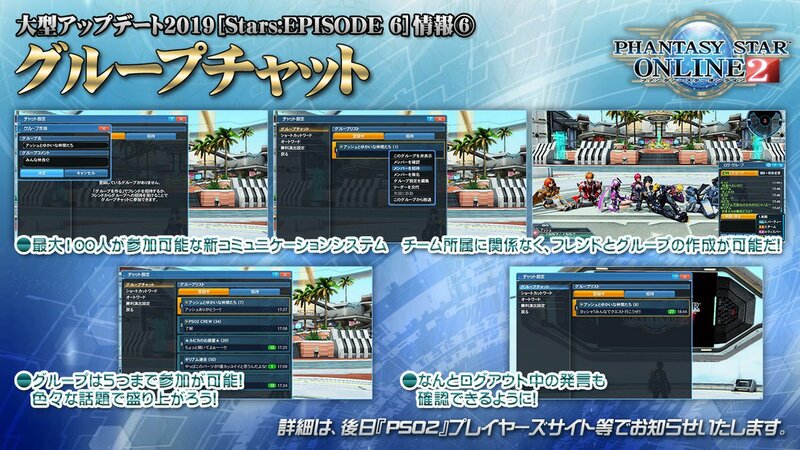 Attendees can obtain item codes for exclusive lobby actions of each city’s specialty. 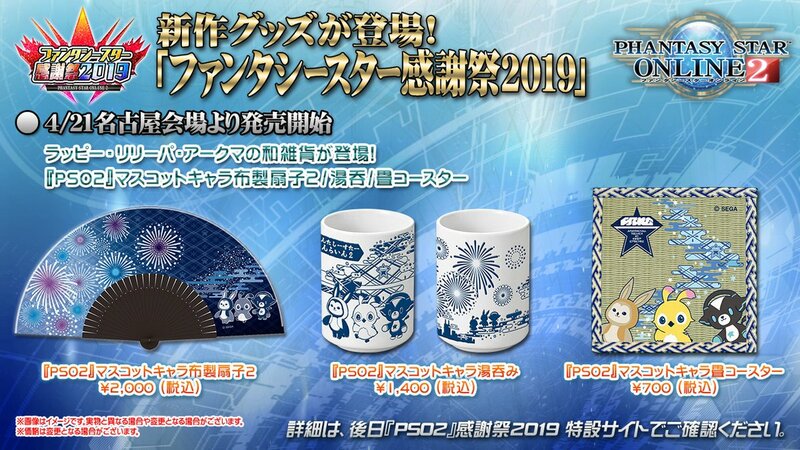 Other items will be revealed in the future.